Dry salted tusk is many times found to be using different names. It’s scientific name is brosme brosme, but isa also call cusk, sole or brosme. All these names refer to the same fish. In some French speaking countries dry salted tusk is referred to as sole, a very appreciated salted and dried fish in many African countries. In North America it is mostly known as cusk. Directly from the icy cold waters of the North Atlantic Ocean, boats dock at our seaside facility and unload the freshest raw material available. Our extremely efficient splitting equipment is enhanced with the most modern technology. Using automatic cutting machines and vacuum cleaning systems ensure the highest quality of our products. The fresh tusk is butterfly split. During the splitting of the fish we extract two thirds of the back bone, making it a very nice flat salted fish. Then it’s carefully salted and dried to perfection. Salted and dried tusk is made the traditional way, therefore using ancient handmade techniques. Time, salt and temperature play an important role in producing the finest dry salted tusk. Dry salted brosme is available in several sizes. However 21/30 is the most popular, which is usually packed in 3,5 kg, 4 kg, 8 kg, 9 kg cartons. When drying we hard cure the fish which insures a great resistance to tougher climate conditions. Besides the whole fish packed in carton boxes, salted and dried tusk cutlets are also available. The cutlets are made from premium dry salted fish and packed in trays. We can offer 300g and 500 g trays. However other sizes can also be produced. Easy shipping service in Europe which includes pallet deliveries to several countries. For international shipping, full container loads. 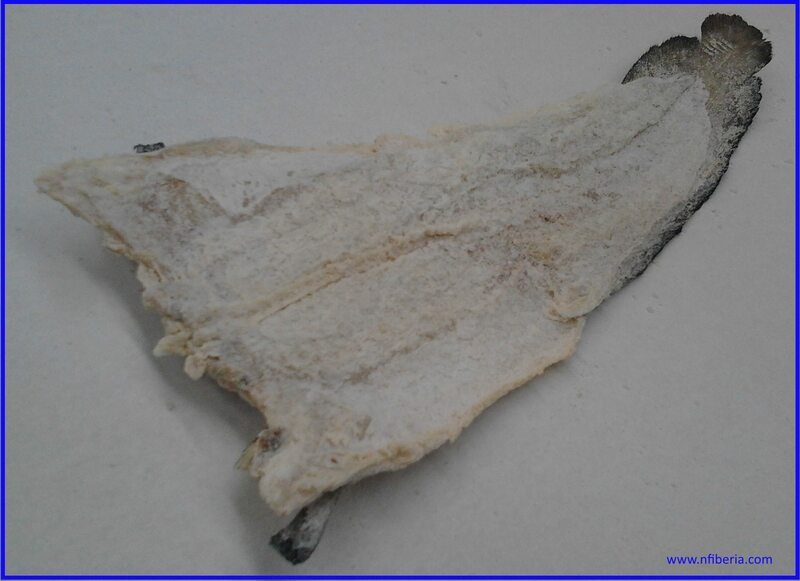 Dry salted tusk and other dry salted fish are warehoused and shipped from our distribution unit in Portugal. Therefore our delivery service is easy, with weekly deliveries that can insure a quick response to all your requirements.